It’s not easy to find someone with the perfect amount of passion, an unsurpassed desire to excel and the most intriguing blend of sass, intellect, and confidence. And when you combine all of these in an unforgettable mix of musical talent, the only name that appears in mind is Atif Aslam. 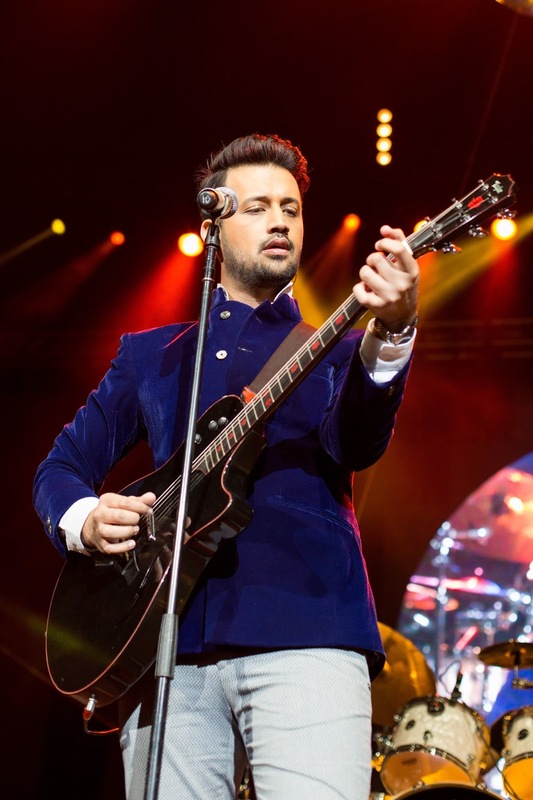 One of the most talented singers to come out of Pakistan, Atif Aslam, returns to South Africa by popular demand to perform in a series of concerts. The Johannesburg leg of his tour will see the ‘Prince of Bollywood’ mesmerize audiences with his exceptional charisma and charm at the Centre Court in Emperors Palace on Sunday, July 23. “Ever since his debut performance in South Africa in 2015 and again in 2016 where he shared the stage for the first time on African soil with Sonu Nigam, fans have continued to request his return to SA. We are expecting another sell-out crowd for this performance,” says Blu Blood MD, Osman Osman. Fans can expect some of his most popular numbers including ‘Who Lamhey’, ‘Tu Jaane Na’ and the most recent hit ‘O Saathi’ from the latest Bollywood blockbuster, Bhaagi 2. This song has become immensely popular since the release of the film with the music video has received over 46 million views since being posted in March. Not only talented on stage, Atif has also made a mark as an actor. He made his screen debut in Bollywood in the 2011 film, Bol, where he played the lead alongside Umaima Abbasi and Mahira Khan. Unlike many stars, Atif did not come from a musical background, nor was he musically trained. It was only while studying towards his Bachelor’s in Computer Science that he developed his interest in music. His raw talent and passion became his foundation for his success. His inspiration comes from everything around him: forces of nature, observing people, his family. Atif’s music is the kind of music that comes directly from the heart – from the raw and emotive sounds of his debut album ‘Jalpari’ in 2004 (the album that launched his solo career), to the energetic and rocking ‘Doorie’ (this album launched Atif into the international markets in 2006), to the evergreen ‘Meri Kahani’ (taking the listener down a nostalgic memory lane in 2008). His music ranges from the romantic to crestfallen numbers, from peppy and catchy tunes to sober thoughtful songs. He has recorded to date around 116 songs. With a tremendous Facebook following of 20 million, 1 million ardent Twitter followers and 3.8 million Instagram followers, Atif surpasses any other Pakistani celebrity in terms of popularity and international recognition. Atif’s heart-touching vocals, his enigmatic personality and his love for his fans are just a few reasons not to miss Atif Aslam live in concert in South Africa this July. Tickets for the Johannesburg show range from R280 to R3000 and are available from Computicket or via Emperors Palace Box Office on 011 928 1297 / 1213 or visit www.emperorspalace.com. The show starts at 5pm. Emperors Palace is located at 64 Jones Road in Kempton Park. The full biography on Atif available at https://www.aadeez.com/biography.